Gary and Corina have always made their major decisions together, and the decision to start Oosterhof Electrical Services Ltd. was no exception. They are proud of their family, and are dedicated to upholding the high standards associated with their family name. Gary has been a licensed electrician since 1982. 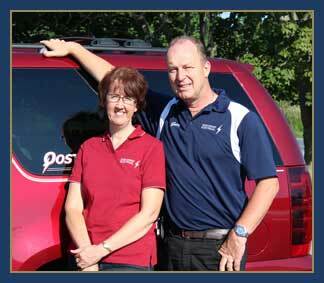 After a successful career with a Kingston-area electrical services company, where people asked for him by name, Gary and Corina decided to start Oosterhof Electrical Services Ltd in 1991. Gary and Corina believe the key to the success of Oosterhof Electrical Services Ltd. is working together and keeping families the priority. Their staff is available 24 hours a day in case of emergency, but they also recognize your family is important, so they strive to finish the job in a timely manner at the end of the day, ensuring that you can enjoy your time with your family. The staff at Oosterhof Electrical Services gives 100 percent when they are at your home or business, then leave the work site clean and tidy.